Sderot and western Negev residents experienced another week of sporadic rocket fire from northern Gaza as the General Assembly of the United Nations began its debate on the Goldstone probe into alleged Israeli war crimes, on Wednesday November 4. 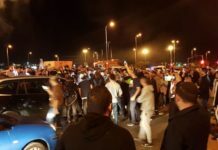 Two days before the General Assembly debate began, a rocket fired from northern Gaza, triggered the Color Red alarm system in Sderot, sending residents racing to the city’s newly built bomb shelters. 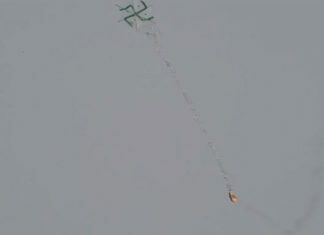 The rocket landed in the Sha’ar HaNegev region, about five minutes away from Sderot. There were no injuries and damages reported although the number of civilians who experienced shock remains unknown. 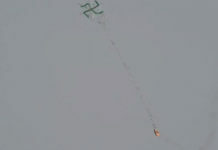 A week earlier, another rocket struck an open field in the Eshkol region of the western Negev. 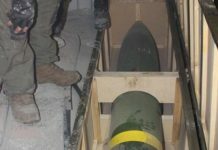 There have been over 270 rocket attacks since the Gaza operation. 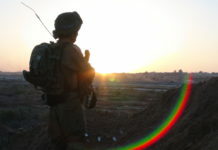 The director of the Sderot Mental Health Center, Dr. Adriana Katz, recently spoke to Sderot Media Center about the UN’s indifference to the mental health crisis in Sderot which has resulted from years of a rocket attacks on the city. “Judge Goldstone knows nothing of the Israeli trauma victims whose lives have become hell because of these rocket attacks. They can no longer go to work. Every noise, bleep or beep sends them into a panic, and they suffer daily from fear and insecurity, “ says Dr. Katz. Dr. Katz, who immigrated to Israel from Romania and lives with her family in Ashkelon, has served as the Head Psychiatrist of the Sderot Mental Health Center for 15 years. Dr. Katz specifically refers to the generation of “Qassam children,” or children who have grown up under the intense pressure of rocket fire and continue to wet their beds at night while fearing to leave their homes. “You cannot photograph a destroyed psyche and broadcast it all over the world,” says Dr. Katz. “Would Judge Goldstone agree to live under such conditions?” Dr. Katz asks. 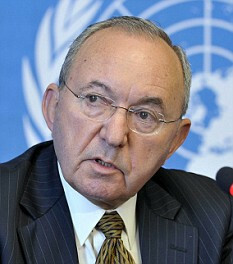 According to Dr. Mirela Siderer, an Israeli rocket victim who testified before the Goldstone commission in Geneva, Judge Richard Goldstone completely ignored her oral testimony before the commission panel back in July. Dr. Siderer, a gynecologist who lives in Ashkelon and treats Israeli and Gaza women, was seriously injured when a Gaza missile struck the building of her Ashkelon clinic on May 14, 2008. She, her patient and more than 100 other Israelis were wounded in the attack. In September, Dr. Siderer confronted the UN Human Rights Council, stating that she was “shocked by the report,” and felt “humiliated” as her name appeared only in passing and in brackets. “I testified in good faith,” she told Judge Goldstone. Goldstone responded that Dr. Siderer was treated no differently than any of the other victims who had spoken before the commission. However, a Palestinian representative at the General Assembly, Riyad Mansour stated on November 4 in a UN press release, “What the Goldstone report essentially constitutes is another damning record of the Israeli crimes committed against our people under occupation.” Mansour had also noted that the Goldstone recommendations represented a significant contribution to the pursuit of accountability and justice for Palestinians. For Israeli professionals like Dr. Katz, who treats Sderot trauma victims daily, and Dr. Siderer, whose face still remains disfigured from the May rocket attack, justice has not been served. 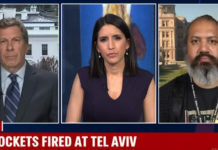 Dr. Siderer asked the UN Human Rights Council to explain why they had remained silent and why the 575-page Goldstone report,included only two pages on Israeli rocket victims. “No one is keeping Gaza’s terrorist activities in check at the UN. 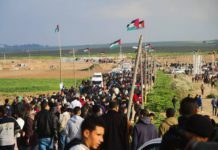 How many more Israelis will have to suffer before the UN produces a full-length report detailing Hamas’s war crimes and human rights violations against the Jewish state?” asks Bedein. G-D bless Israel. I know that Israel has to try and keep the peace, but how much more can we do. We need to say screw you world you do not back us anyway and we need to go in and show no mercy. Only G-d, and the Israelies will protect our amazeing country Israel we should not have to sit quiet while hamas plans our destruction. G-D BLESS ISRAEL! G-D BLESS THE IDF!! Goldstone, we should not be too hard on him, he is just a simple idiot being told what to do by that nest of evil people runing the UN. GoldstoneÂ´s shabby and dishonest report completely justifies my claim.